- People can set a board on the bracket, and then put things on the board. 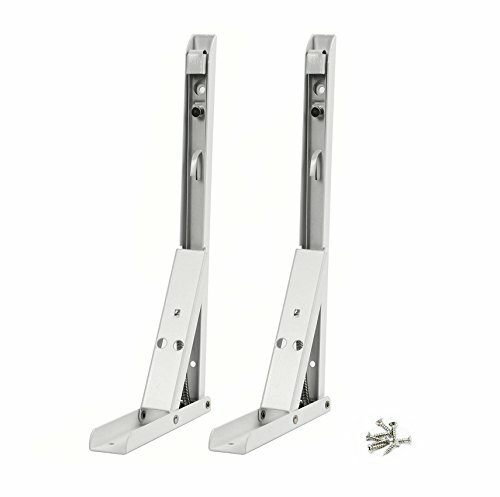 - Space Saving: The hinges lock at 90 degrees. When you want to collapse the table simply press the release arm. Excellent performance suitable for limited spaces when you want a work surface that can be folded down and out of the way. Helps keep your room organized. 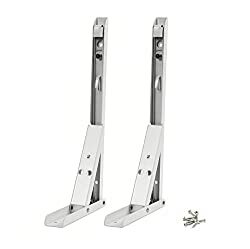 - Suitable for: shop,stores,workshops,boats,motorhome,backyard,trailer,room,kitchen,blacony,bathroom and household as a support bracket. 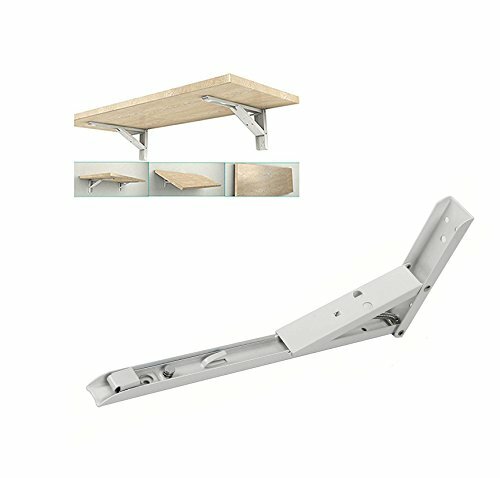 Package Content: 2 x 12 inch Shelf Bracket, 8 x Mounting Screws; Angle Degree : 90Degree; Material: Stainless Steel This steel 90 degree angle bracket is widely used in shop or store as a support bracket. Very stout, easily operated with a very positive locking action. 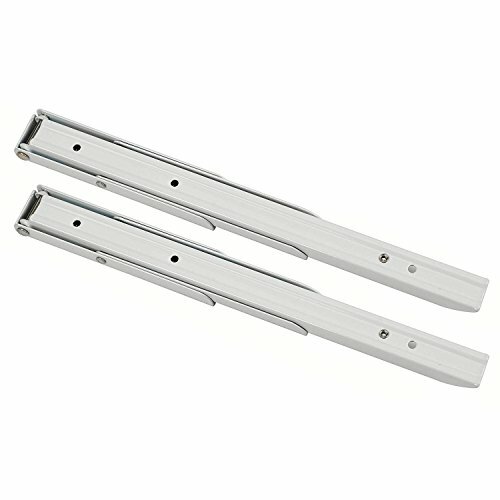 To fasten the wood furniture like beds, desks, closet or better the holding capacity of device on the wall like undermount sinks, microwaves and so on. 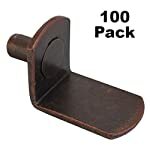 The moveable bracket could be mounted on the wall and save more space for you in your kitchen.